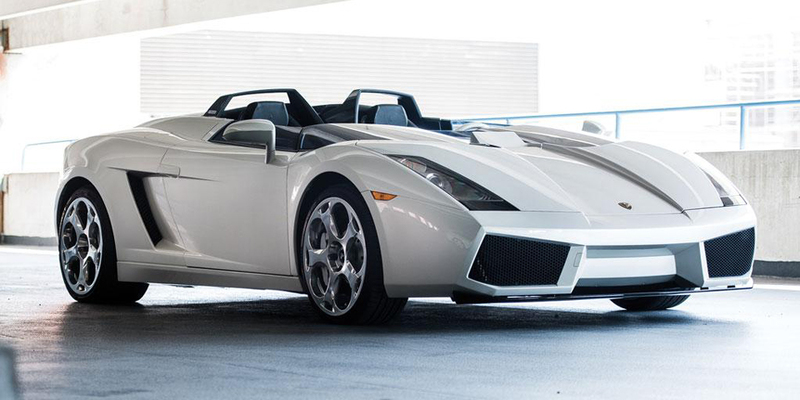 The first and only functional example of the 2006 Lamborghini Concept S is being auctioned… again. With only about 112 miles on the odometer (180 kilometers), the Lamborghini Concept S is a true street-legal roadster and has been shown twice at the Pebble Beach Concours d’Elegance. This is not the first time it is crossing the auction block, as it was offered in late 2015 by RM Sotheby’s. The auction house will once again host the car at Monterey this August. The Lamborghini Concept S was first shown as a non-running design study at the 2005 Geneva Motor Show. Penned by Luc Donckerwolke, a fully operable Concept S was later shown to the public at the Concorso Italiano sporting a 520-horsepower V10. The Italian automaker then slated it for production based on demand, with a planned limited run of just 100 units. But the exceedingly high costs and time-consuming production of the Concept S ultimately killed off the project, leaving just one sole example in the world. Even after it was initially sold to a private owner, Lamborghini has invited it back to be showcased, having attended the Pebble Beach Concours d’Elegance in 2006 and 2008. It’s worth mentioning the last time it crossed the auction block in New York, it failed to sell, likely because bidding never met the unknown reserve. The post The One-Off Lamborghini Concept is Being Auctioned… Again appeared first on VWVortex. Club Vdub is for the VW Lover in you!